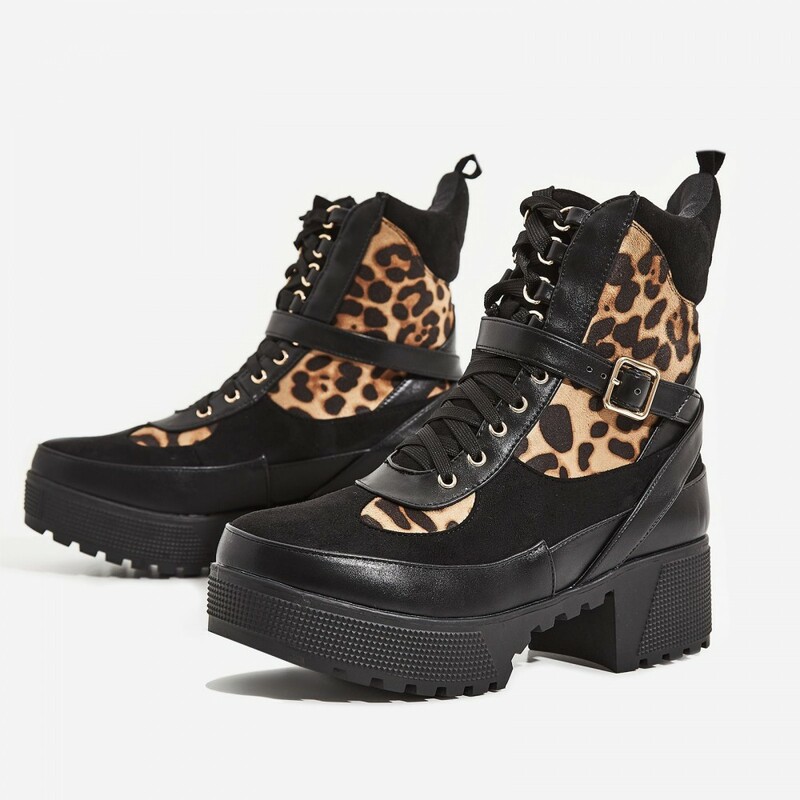 Girl, this is the must-have combat boot of the season. 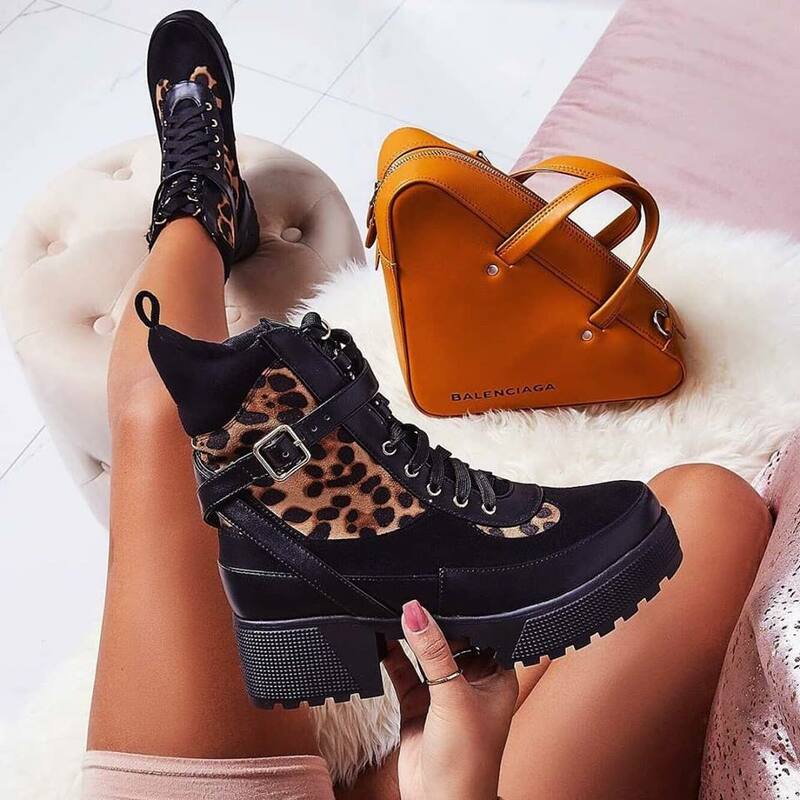 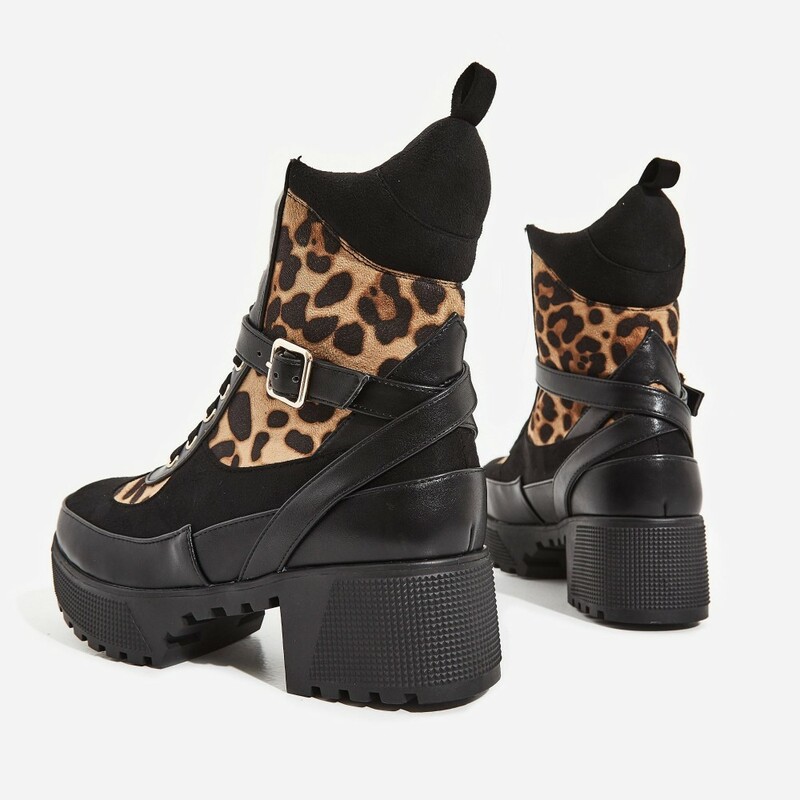 With a chunky sole, leopard print detail and an edgy buckle strap – it’s sure to make any outfit look a lil’ fierce. 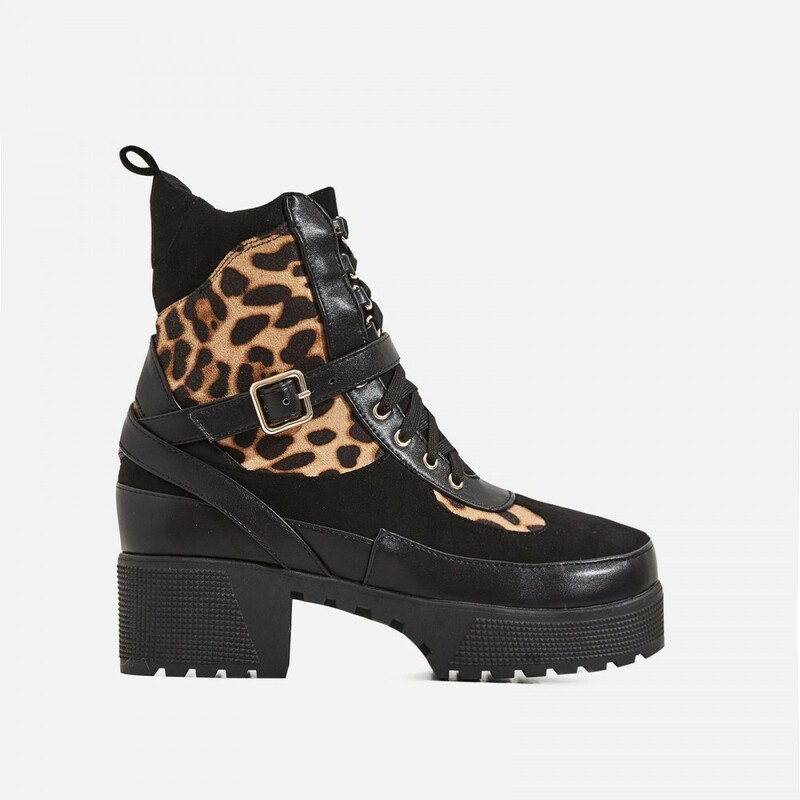 Wear with a black playsuit and studded belt for a playful but fierce daytime look. 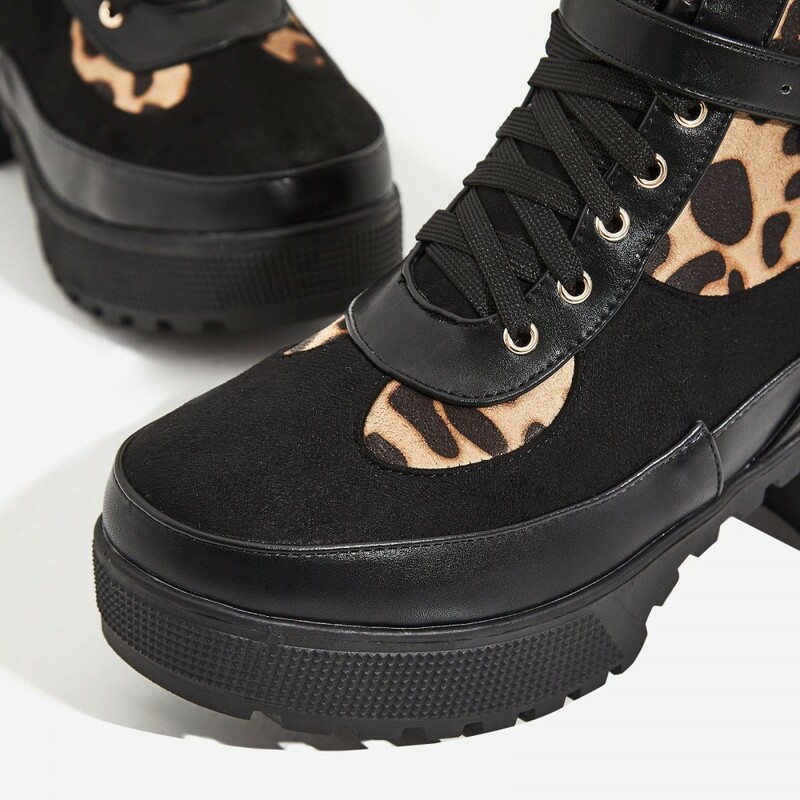 Go slay, girl.